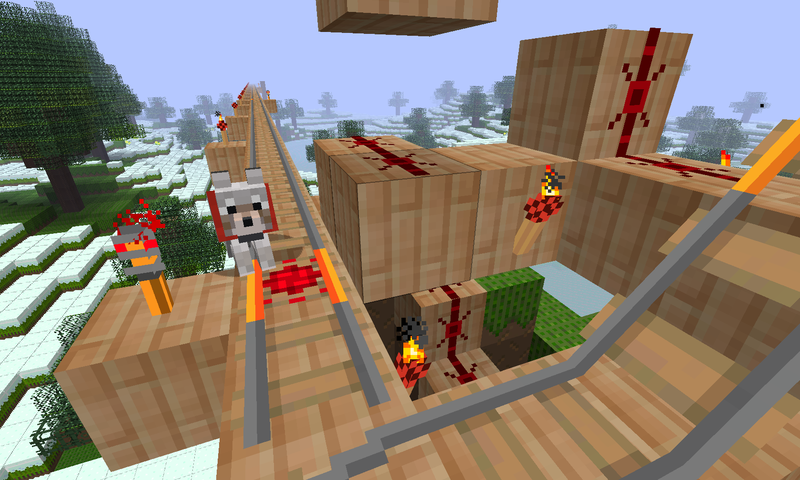 The latest release Beta 1.5 of Minecraft introduces several new things that need textures: powered rail, detector rail, and two new sorts of sapling. I added them first to Texturejam’s patches pack—used to upgrade other packs to Beta 1.5—and did not get around to doing GroovyStipple versions until today. The new Beta needs a new side-grass texture. 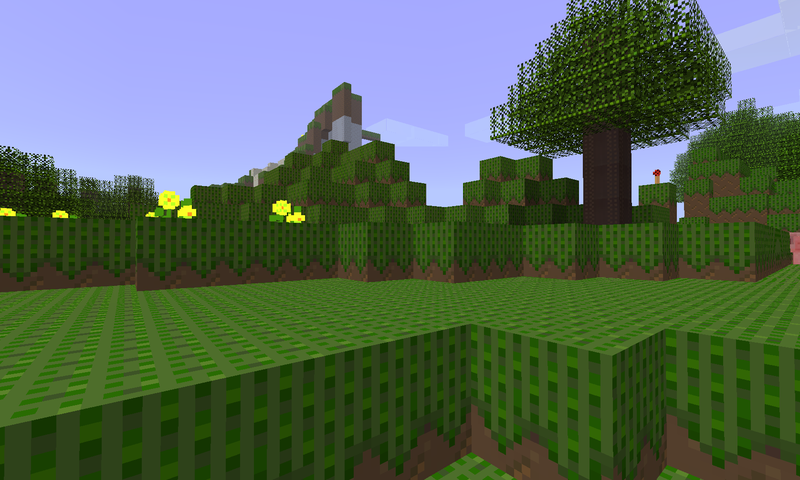 Like the grass texture, this is greyscale and is colorized with the biome grass colour, and then superimposed on the old side-grass tile. I have changed the side-grass to have a zig-zag edge and an improved stipple. For the powered rail I made another attempt to design something that looks like it has a rotating element in it. I am not sure it quite works, but it will do for now.